There are surely many types of alternative medicine for neck pain available throughout the established treatment sector. However, being that most forms of alternative treatment are now considered complementary medicine, and are therefore part of the mainstream, we want to dedicate this article to a truly alternative choice which is cost and risk-free. This option is knowledge therapy and is used to treat mindbody conditions ranging from neck and back pain to tendonitis to headaches to all manner of symptomatic conditions throughout the anatomy. Knowledge therapy is not a singular treatment, but an approach to care using purely psychoemotional methods of resolving physical pain and related mindbody symptoms, such as anxiety, depression and fear. This approach is not likely to cure pain which is directly linked to a structural spinal abnormality, disease process or other purely physical source. Luckily, a great number of chronic and unresponsive neck pain issues are caused, or contributed to, by mindbody conditions and not 100% anatomical reasons. Therefore, the therapy is worth considering for many neck pain patients. You have nothing to lose by learning more. Knowledge therapy is a term coined to represent a treatment which is not physical in application. There are no drugs, exercises or surgical aspects of care utilized at all. Instead, the patient’s symptoms are viewed from a holistic point of view, meaning that all possible emotional causes of pain are considered and evaluated. Research has shown definitive links between the psychosomatic process and the existence of chronic pain. In a large number of patients, ongoing and treatment-defying symptoms exist to serve a primary gain imperative in the mind. In essence, the symptoms are created to occupy the conscious mind against the recognition of repressed, suppressed or sensitized emotional concerns. We know; it sounds complicated. However, you only need a rudimentary understanding of these psychological concepts in order to effectively use the therapy. It is crucial to understand that this approach to care is not new age or mythical in any way. The treatment is based on the sound and universally accepted principles of modern psychology and physical medicine. Knowledge therapy works, as its name would imply, by literally teaching the patient why they have pain and why they are suffering. Myths about many neck pain conditions are dispelled and the patient will examine their own suffering from a completely new perspective. The effectiveness of the treatment is not based upon blind faith, deception or placebo effect. Instead, it works simply because it is logical and resounds with the patient in a way which makes sense. Very few patients try it without gaining a least some benefit. Of course, some find real and lasting cures from the therapy. Usually, all that is required is reading one or more of the many books which have been written on the subject. These can be found online, in book stores and in your local library. 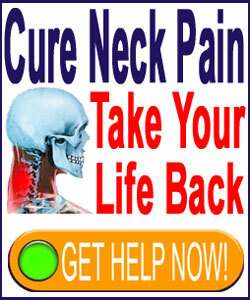 We recommend many of them and you can find our best-selling, peer-acclaimed neck pain ebooks here. 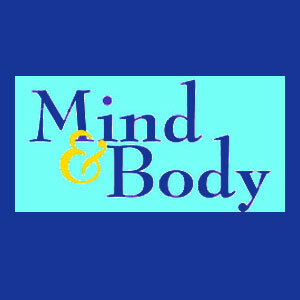 Some patients find it useful to consult with a mindbody physician for deeper levels of care. This is usually not needed, but is available for those who choose to pursue the option. However, there really is no need to spend any money at all, since so many materials are available for free or nearly free. The neck is a location well known to demonstrate the effects of conscious and subconscious stress. Tightness and tension in the neck are indicative of emotional circumstances in far more cases than purely physical ones. This comes as no shock to most patients. However, many are surprised to learn that severe and even disabling symptoms can be the direct result of the mindbody process. This is commonly called psychosomatic neck pain, but we caution you to fully understand the exact nature of this condition before passing judgment on it. Psychosomatic in no way implies imaginary or exaggerated. In fact, the symptoms of any psychosomatic pain syndrome mirror those of an anatomically-induced condition 100% in their physical expressions. Basically, the pain is no less real. The only difference is the causative mechanism. In this case, the source is the protective instincts of the subconscious using pain in a maladaptive process of distraction from sensitive emotional concerns. Traditionally, medical science has been ill-prepared to deal with mindbody issues, so it tended to deny them or avoid them entirely. Now, the proof is so convincing that you will see mindbody medicine all around you. Look in cancer or AIDS care centers. Look in chronic pain coaching and drug addiction treatment facilities. Look on television, in movies and in the news media. The influence of the mind on the body is finally beginning to receive the recognition it justly deserves. This is the age of alternative medicine for neck pain and knowledge therapy leads the field in terms of benefit to drawback ratio. Knowledge therapy has no inherent risks. Knowledge therapy has no inherent costs. There is nothing to buy. A cure is possible for purely psychogenic pain. Even when a cure is not possible, the patient will still receive a beneficial new perspective on health and better understand why they have pain. There is really no downside. I learned about knowledge therapy from Dr. John Sarno while treating my lower back pain. He was a world renowned physician in the physical medicine department of The Rusk Institute of Rehabilitation Medicine at NYU Medical Center in New York City. I found the treatment to be highly logical and effective. In fact, I used it to relieve pain which had cursed me for 18 years. I still stand by the efficacy of the program for many patients and believe the benefits I have gained have improved the quality of my life in many regards. For more information on knowledge therapy, as well as other forms of alternative medicine for neck pain, I recommend researching the various books on the subject or contacting a mindbody care provider. You can enjoy all of our educational material on the subject by using our search function to find “knowledge therapy”.